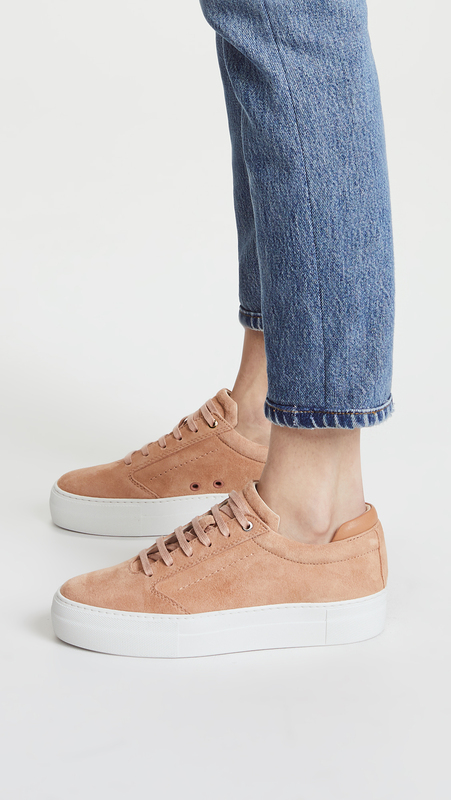 I pretty much want every pair of sneakers I’ve posted here, but of course the pair I want the very most is the only really splurgy one I’ve included: these salmon-pink kicks from Want les Essentiels. I like that they have a platform, but that it isn’t too clunky. I’m very intrigued by Allbirds, the newish company that makes their shoes from Merino wool. That seems like it would be cozy this time of year, and word is they’re the most comfortable thing ever. They’re also appealingly minimal. Greats is another company I’m pretty keen on: I owned this pair, the Alta, in black, but alas, one of the dogs chewed them. So I’m thinking of getting this plummy color to replace them. 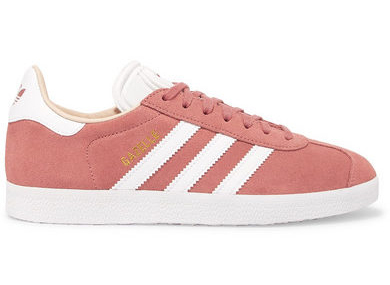 I’m pretty sure I’ve shown you these pink Adidas Gazelles before, but they sell out fast and right this second Net a Porter has them in all sizes. I also quite like them in this blue. 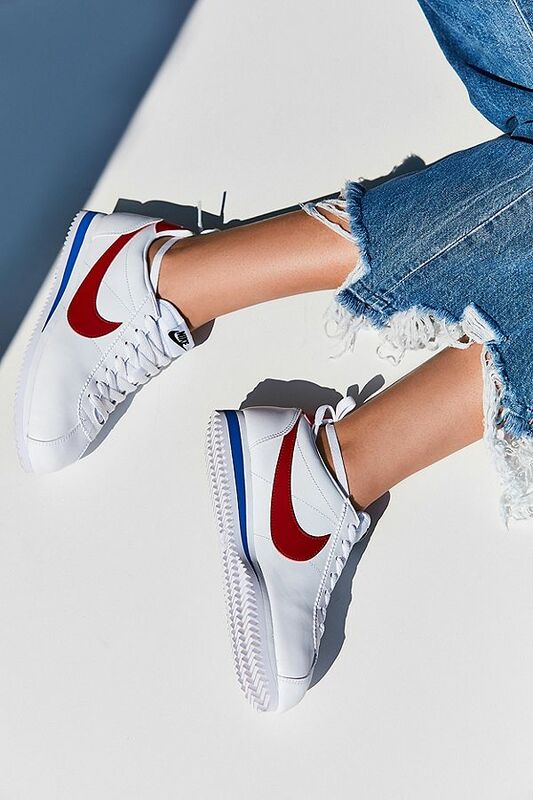 The Nike Cortez is such an old-school classic, and the pops of red and blue are nicely graphic. 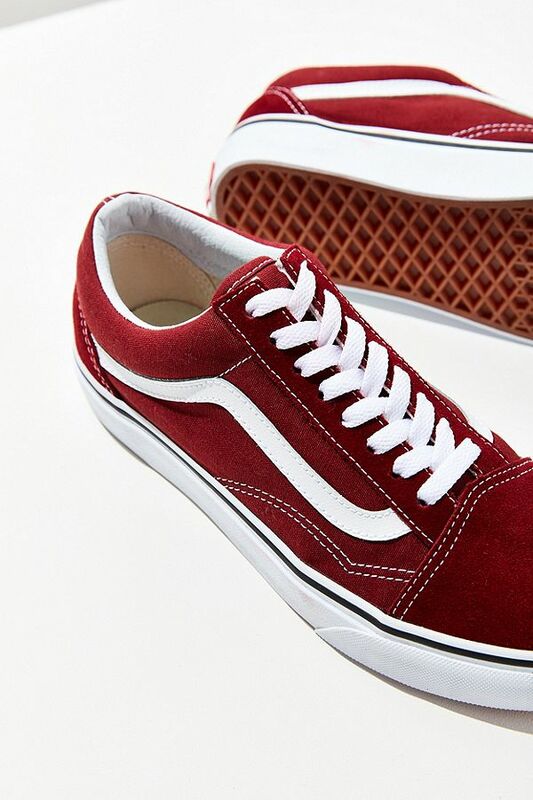 You can’t beat Vans Old Skools, and I am a big fan of this red (click through to see a lot of other colors too). Another very old-school design, from Adidas. They remind me of a pair I’ve spied Maria Cornejo wearing. 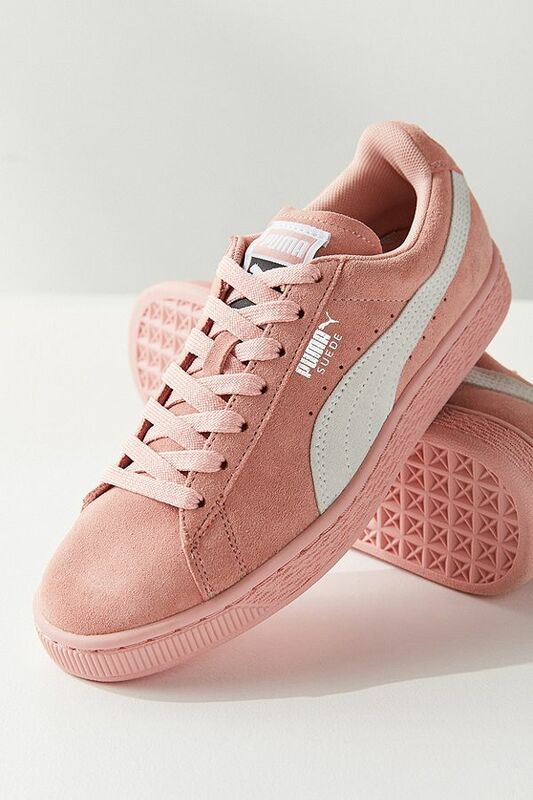 Another winning pink pair—I couldn’t resist—from Puma. Leopard print can be tricky on footwear of any kind, but the fact that the color palette here is so simple makes them work. 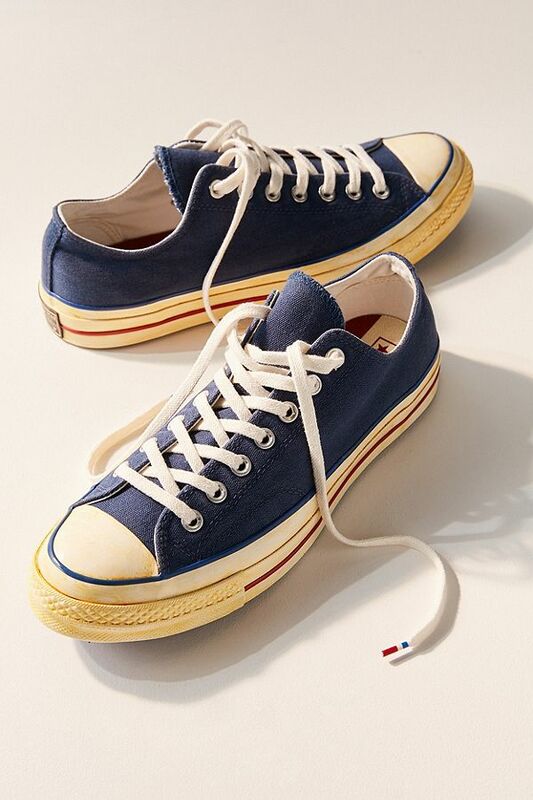 I love the blue contrasted with the red stripe on these forever-cool Converse. 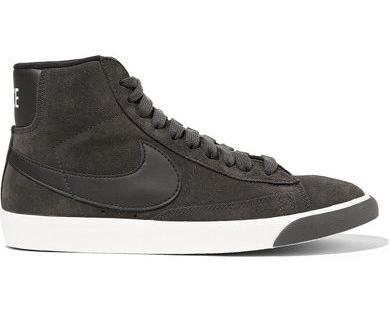 I have gotten some questions about whether high-tops are appropriate after a certain age, and I have to say I think they are perfectly fantastic if the style is pretty simple, which I think these are. Was also intrigued by Albirds, went to store in SF and bought them. Pros: Very soft, your feet can sweat a lot in them and they will never stink. Cons: Zero traction on soles. Zero interior support. Not built for walking more than a mile at a time in. Mine went to Goodwill. Was also intrigued by Albirds, went to store in SF and bought them. Pros: Very soft, your feet can sweat a lot in them and they will never stink. Cons: Zero traction on soles. Zero interior support. Not built for walking more than a mile at a time in. Mine went to Goodwill. Oh my! I ADORE Allbirds. I own secen pairs. Great for urban wear, all day, and great around the house, like slippers. The newer slip-on version is sharper-looking than the lace-ups. Note though: these are NOT running shoes, nor are they good for uneven surfaces. To offer a dissenting opinion – my Allbirds are my urban travel shoes, and I’ve walked twelve miles in a day in London and about nine in San Francisco in them. Next up: Bangkok and Tokyo. I like them because they’re cloud-soft, light, packable, washable, and don’t require socks. To offer a dissenting opinion - my Allbirds are my urban travel shoes, and I've walked twelve miles in a day in London and about nine in San Francisco in them. Next up: Bangkok and Tokyo. I like them because they're cloud-soft, light, packable, washable, and don't require socks. i got the slip on allbirds and they are a cozy dream. like, the most comfortable shoes ever. I love these sneakers choices! I just bought a pair of Veja’s. Love that they are fair-trade. Love the Allbirds business model but haven’t purchased. I will again tout the extreme comfort/walkability of my Birkenstock sneaks. They now come in some pretty great styles. Can’t beat them for all day walking. I love these sneakers choices! 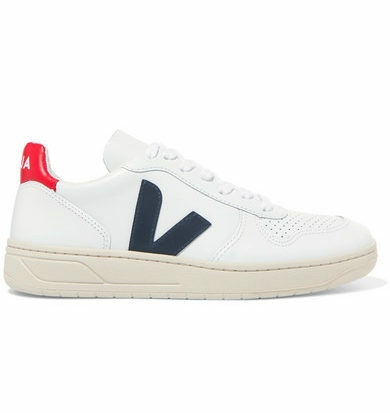 I just bought a pair of Veja's. Love that they are fair-trade. 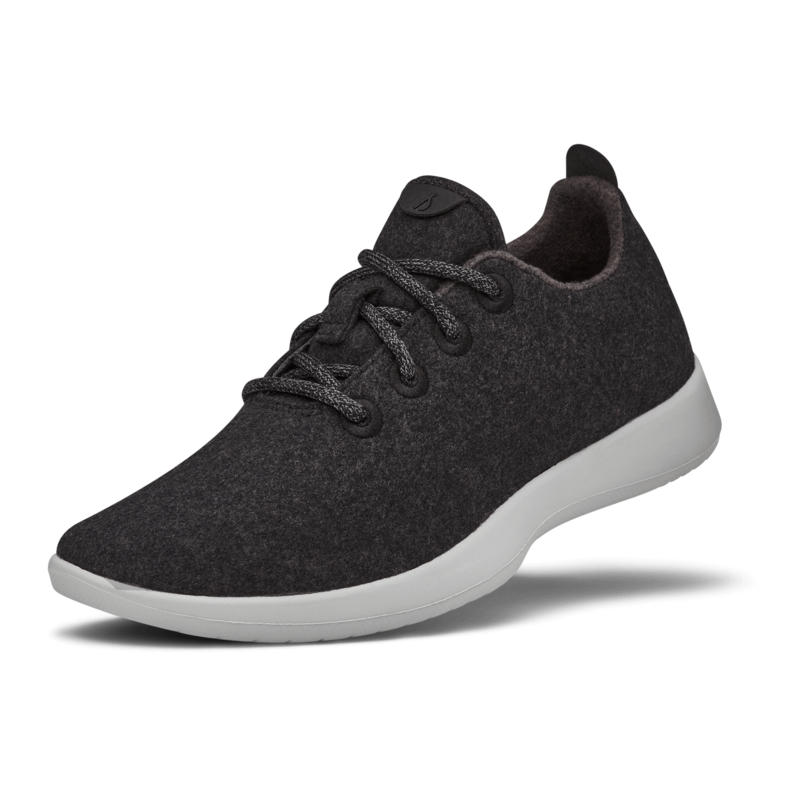 Love the Allbirds business model but haven't purchased. I will again tout the extreme comfort/walkability of my Birkenstock sneaks. They now come in some pretty great styles. Can't beat them for all day walking. 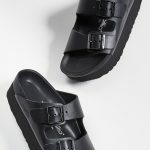 I had no idea that Birkenstock even made sneakers! This posting delights me since I’m such a sneaker girl! Another pro-Allbird person. I do not own any, but my beau owns two pair which he wears constantly. He uses his specially made insoles with them so has not had any problem with support. I also met a women on the dog walking trail the other day wearing a pair who said she got rid of all her other sneaks because the Allbirds were so comfortable––she also uses insoles in hers. I ordered these babes the other day and am awaiting their arrival tomorrow, but had to order a larger size than my “normal” because they were already sold out in my size. May have to order those white Vejas with the gold stars as well! This posting delights me since I'm such a sneaker girl! Another pro-Allbird person. I do not own any, but my beau owns two pair which he wears constantly. He uses his specially made insoles with them so has not had any problem with support. I also met a women on the dog walking trail the other day wearing a pair who said she got rid of all her other sneaks because the Allbirds were so comfortable––she also uses insoles in hers. I ordered these babes the other day and am awaiting their arrival tomorrow, but had to order a larger size than my "normal" because they were already sold out in my size. https://shop.nordstrom.com/s/puma-classic-badge-sneaker-toddler-little-kid-big-kid/4499743?origin=coordinating-4499743-0-3-PDP_1-recbot-visually_similar_shoes_b&recs_ May have to order those white Vejas with the gold stars as well! The AllBirds are really quite comfortable – sort of like wearing a sock and nothing else – and supportive. However, I wouldn’t rely on them for everyday use. I wear them on the weekends, my son wore his every day and they didn’t hold up. Mine have held up wonderfully, however. The AllBirds are really quite comfortable - sort of like wearing a sock and nothing else - and supportive. However, I wouldn't rely on them for everyday use. I wear them on the weekends, my son wore his every day and they didn't hold up. Mine have held up wonderfully, however. Along with Adidas (Gazelles!) and Pumas, I adore Golas and Onitsuka Tiger sneaks (so comfy). I don’t doubt the comfort level of the AllBird, but nothing about its exterior is inspiring (looks a bit nursey/hospital). I like all the other sneakers in the list though. Along with Adidas (Gazelles!) and Pumas, I adore Golas and Onitsuka Tiger sneaks (so comfy). I don’t doubt the comfort level of the AllBird, but nothing about its exterior is inspiring (looks a bit nursey/hospital). I like all the other sneakers in the list though. I’ve amassed a pretty good collection of sneakers thanks to you. I may have to add the Nike Cortez to the group. At 50 I realized that how I dressed as a kid is really who I truly am and what my style should be. Of course Converse and Nike were just everyday sneakers back then, (I actually had the Cortez the first time around) not the fashion statements they are now. Glad the classic always seem to be in style. Thanks Kim! I’ve amassed a pretty good collection of sneakers thanks to you. I may have to add the Nike Cortez to the group. At 50 I realized that how I dressed as a kid is really who I truly am and what my style should be. Of course Converse and Nike were just everyday sneakers back then, (I actually had the Cortez the first time around) not the fashion statements they are now. Glad the classic always seem to be in style. Yes! I recently came to that same realization at 43. A lot of graphic black and white with more skate punk elements and some sparkle, glitter, and leopard print tossed into the mix. Why not? I ordered a pair of pink Adidas Gazelles after seeing them on another blog and falling madly in love with them. I was shocked by the poor quality! The tongue was almost more like cardboard than leather, and the whole thing was really shoddy. Instantly returned. This post is so much what I love about you, Kim! Allbirds are absolutely the most comfortable sneaker ever. Last summer I wore mine through a trip to Hong Kong and Vietnam – they kept my feet warm on the 15 hour flight and cool in the crippling heat and humidity of Vietnam. Also, they can be tossed in the washing machine with no problem. Allbirds are absolutely the most comfortable sneaker ever. Last summer I wore mine through a trip to Hong Kong and Vietnam - they kept my feet warm on the 15 hour flight and cool in the crippling heat and humidity of Vietnam. Also, they can be tossed in the washing machine with no problem. My husband just gifted me a pair of Allbirds. They are comfy & cozy but VERY minimal. I was in a rush to do a walk with friends last week and didn’t have time to change my shoes; they were fine up a steep hill (1.5 miles) but pretty miserable coming down. My husband just gifted me a pair of Allbirds. They are comfy & cozy but VERY minimal. I was in a rush to do a walk with friends last week and didn't have time to change my shoes; they were fine up a steep hill (1.5 miles) but pretty miserable coming down. You know I love ya, but sneaker posts bum me out. Running shoes for running and that’s it for me. You know I love ya, but sneaker posts bum me out. Running shoes for running and that's it for me. I LOVE sneaker posts. Keep ’em coming! I LOVE sneaker posts. Keep 'em coming! I love my Allbirds! I own a pair of trainers and a pair of the slip-ons, and have no issues being on my feet all day in them. They haven’t really caught on around here yet, so I get a lot of questions about them when I wear them. I love my Allbirds! I own a pair of trainers and a pair of the slip-ons, and have no issues being on my feet all day in them. They haven't really caught on around here yet, so I get a lot of questions about them when I wear them. Another Allbirds lover here. I am awaiting my 3rd pair in two years. I wear them almost everyday to do all my errands and take them traveling when I have to walk a lot. They have held up incredibly well. I love that they are super soft and are cool in the summer and warm in the cold. I wear them without socks and they don’t smell, even in the heat. And they can be washed! I size down (because the wool stretches a bit) and find that the insoles mold to my feet but I can see how the use of insoles would be beneficial for some. Another Allbirds lover here. I am awaiting my 3rd pair in two years. I wear them almost everyday to do all my errands and take them traveling when I have to walk a lot. They have held up incredibly well. I love that they are super soft and are cool in the summer and warm in the cold. I wear them without socks and they don't smell, even in the heat. And they can be washed! I size down (because the wool stretches a bit) and find that the insoles mold to my feet but I can see how the use of insoles would be beneficial for some. I just bought a pair of North Face sneakers! I love them. I need an arch. The old school sneaks are just too flat for me. Lovely! I can vouch for All Birds! I have three pairs and they are pretty much all I wear. They aren’t quite as hardy as leather, but the comfort and not having to wear socks makes up for that. 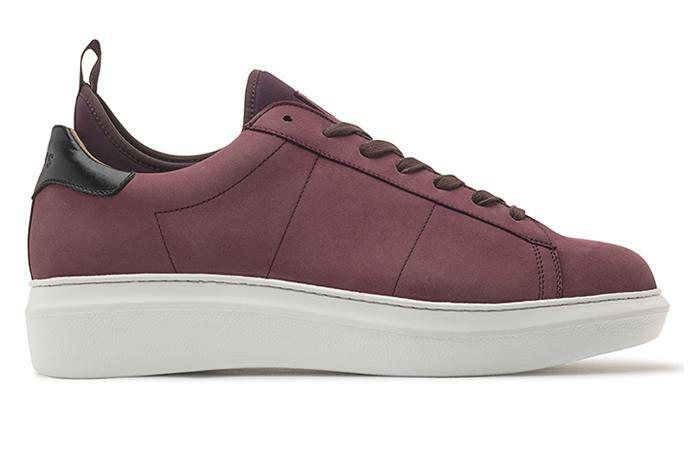 I have a pair of sneakers very similar in design to the Want Les Essentials pair. Mine are by Axel Arigato and unfortunately were even more expensive. The problem is that little ‘lip’ at the back which is stitched on the inside of the shoe, every time I wore them, certain points rubbed my ankles raw, I still have scars from last September! I eventually had to take them to a cobbler ( I’m in the uk! ) to have the lip section entirely removed, so please be warned and walk around the shop a bit first and if there’s any rubbing think twice. Poor construction is more common than I’d like to think possible of my favorite old school brands. I don’t know about Adidas (Nazis? Yikes!) but I found that my UGGs that were purchased new this winter have a very “cardboard” sound to the back of the heel whenever I take them off. NOT happy about that! Sorry for my consumer rant. Poor construction is more common than I’d like to think possible of my favorite old school brands. I don’t know about Adidas (Nazis? Yikes!) but I found that my UGGs that were purchased new this winter have a very “cardboard” sound to the back of the heel whenever I take them off. NOT happy about that! Sorry for my consumer rant. Love sneakers posts! 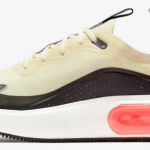 Living in the temperate SF Bay Area they are my go-to casual shoe and with a size 11+ foot sneakers give us big-footed-gals a chance to wear cool men’s sneakers. I’m partial to the Adidas Gazelles but whenever I’m overseas I look locally for Adidas styles that are hard to find in the US. Love sneakers posts! Living in the temperate SF Bay Area they are my go-to casual shoe and with a size 11+ foot sneakers give us big-footed-gals a chance to wear cool men's sneakers. 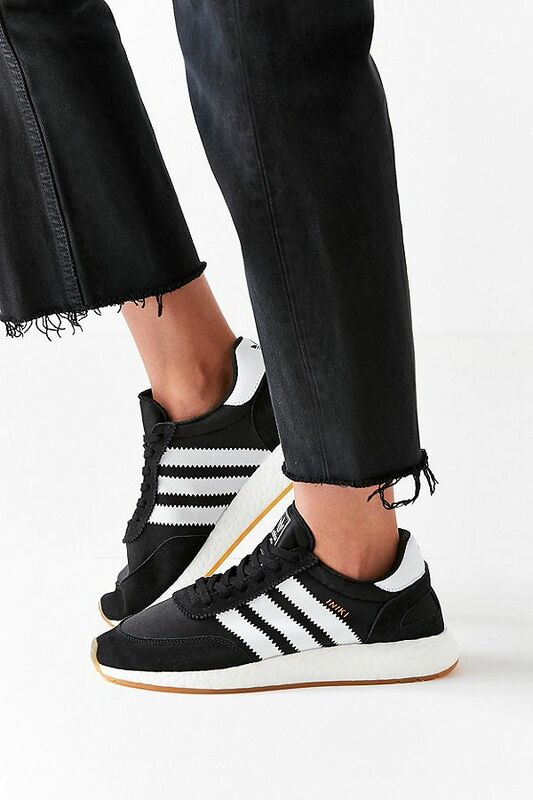 I'm partial to the Adidas Gazelles but whenever I'm overseas I look locally for Adidas styles that are hard to find in the US. What freaking century are we living in that there isn’t an option for “Ms”? p.s. Just ordered the pink gazelles (with prayers that the size 11 fits) and discovered that the only title options offered by Net-A-Porter are "Mrs" or "Miss"or "Mr" or "Dr" or "other" What freaking century are we living in that there isn't an option for "Ms"? Wow, I’d never noticed that—that IS crazy. Wow, I'd never noticed that—that IS crazy. Another big-footed gal here, but with size 12, so very few women’s sneakers to choose from. Mens sizes are usually too wide for me, but have found some cool size 12 Nikes for women at Nordstrom. Sneakers are my spring and fall transition shoes so I should really think about getting a new pair for this year. I had some great Nikes but my cat puked on them. I like Pumas for style, but Nikes suit my feet best for activities. Maybe I’ll check out the Cortez, I’ve always liked the looks of that color-sliced foam wedge! Sneakers are my spring and fall transition shoes so I should really think about getting a new pair for this year. I had some great Nikes but my cat puked on them. I like Pumas for style, but Nikes suit my feet best for activities. Maybe I'll check out the Cortez, I've always liked the looks of that color-sliced foam wedge! I don’t have the Allbirds sneakers – I have the loafers – but they are easily the most comfortable shoes I have ever worn. I love them and will probably purchase the sneakers as well. I don't have the Allbirds sneakers - I have the loafers - but they are easily the most comfortable shoes I have ever worn. I love them and will probably purchase the sneakers as well. I have similar issues. Giant bunions with a wide flat foot. I look like a hobbit. My preferred size is a 9.5 wide or double wide. I’ve had success with the Vans slip ons since they are made on a mens last. Years ago I had some really cute pairs from Keen. I don’t know if they make them anymore, but they were great and lasted a long time. New Balance makes athletic shoes that fit me almost perfectly in a 9.5 wide. But their casual sneakers are sized differently. I most recently bought a pair in 10.5 wide. I have similar issues. Giant bunions with a wide flat foot. I look like a hobbit. My preferred size is a 9.5 wide or double wide. I've had success with the Vans slip ons since they are made on a mens last. Years ago I had some really cute pairs from Keen. I don't know if they make them anymore, but they were great and lasted a long time. New Balance makes athletic shoes that fit me almost perfectly in a 9.5 wide. But their casual sneakers are sized differently. I most recently bought a pair in 10.5 wide. I would love the Allbirds but I think living in Miami my feet would sweat even in winter. Are white on white Tretorns still cool? Yes! I’ve been wearing Tretorns since I was a kid and still love them, in both canvas and leather. Also, totally love Allbirds — less for their look than for their blissful, cloud-like comfort! I’ve walked miles and miles in and both heat and cold in Allbirds, and didn’t want to remove them. Yes! I've been wearing Tretorns since I was a kid and still love them, in both canvas and leather. Also, totally love Allbirds -- less for their look than for their blissful, cloud-like comfort! I've walked miles and miles in and both heat and cold in Allbirds, and didn't want to remove them. I had to have those Nike Cortez’s once I saw the famous Farrah-on-a-skateboard picture where she wore them back in the day. I can’t remember how I convinced my mom to let me have them (I’m sure they were more than we usually spent on ‘gym shoes’ for a bookish, non athletic me) but I loved them. I’m intrigued by the longer laces tied around the ankles on the new version. I had to have those Nike Cortez's once I saw the famous Farrah-on-a-skateboard picture where she wore them back in the day. I can't remember how I convinced my mom to let me have them (I'm sure they were more than we usually spent on 'gym shoes' for a bookish, non athletic me) but I loved them. I'm intrigued by the longer laces tied around the ankles on the new version. Haha! I just read what you wrote here after I posted below. Sounds like we were in similar situations. But I was a brat! I just bought the Vans with the leopard print. Vans are one of the few of the brands highlighted that I can wear due to my very wide feet. It doesn’t hurt that I grew up in LA wearing them back in the 80’s so they feel like “home” to me. 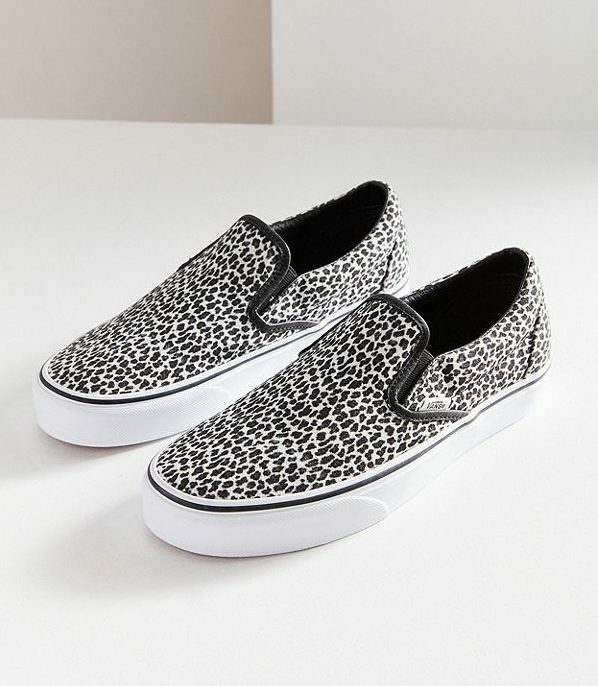 I just bought the Vans with the leopard print. Vans are one of the few of the brands highlighted that I can wear due to my very wide feet. It doesn't hurt that I grew up in LA wearing them back in the 80's so they feel like "home" to me. I think one of the worst fights I ever had with my mom as a teenager was over a pair of navy suede Adidas Gazelles. I won, of course. And believe it or not, she still has them! Kim, are you a mind-reader? Just last week I was searching the GOACA archives for your recs for tennies! (I am so very tired of wearing ugly running shoes for errands when I need casual, practical shoes.) Thanks so much! One thing I would very much like to know is, what organization(s) are there that look into labor practices – among shoe makers and clothing makers too. I have done web searches but it’s not simple to figure out. And self-reporting isn’t ideal. I too really need new sneakers. Actually it’s a couple years already. My favorite for comfort is Saucony but I have no idea if they try to be ethical or not. And it’s getting to the point where I will just have to pick something and be done. I think many of these are adorable, I am just not sure which companies are better. I know there are some companies with better reputations — Nike, Gap, … and who else? But I don’t know if the reputations are out-dated. Global Exchange used to sell sneakers but I didn’t like the color. Sorry to be so whiny!! I just wish sometimes that life were a little simpler. One thing I would very much like to know is, what organization(s) are there that look into labor practices - among shoe makers and clothing makers too. I have done web searches but it’s not simple to figure out. And self-reporting isn’t ideal. I too really need new sneakers. Actually it’s a couple years already. My favorite for comfort is Saucony but I have no idea if they try to be ethical or not. And it’s getting to the point where I will just have to pick something and be done. I think many of these are adorable, I am just not sure which companies are better. I know there are some companies with better reputations -- Nike, Gap, ... and who else? But I don’t know if the reputations are out-dated. Global Exchange used to sell sneakers but I didn’t like the color. Sorry to be so whiny!! I just wish sometimes that life were a little simpler. Just one thing: never, never, NEVER too old for high tops! To hell about what other people think. Dress to please yourself. This post makes my heart sing. Love, love, LOVE sneakers and with a 50th birthday coming up, at least one of these beauties will be mine. Another Allbirds fan here. I also tried a pair of Baabuks (Swiss wool sneaker brand, made in Portugal) for a direct comparison. They are heavier weight and more supportive than Allbirds with thicker soles and better traction. But although I prefer the Baabuks for city walking, their big cutesy sheep logo puts them a bit on the kiddie side. The Allbirds look classier.